The Delaware Supreme Court on August 2 declared the state's capital sentencing procedures unconstitutional, leaving Delaware without a valid death penalty statute. 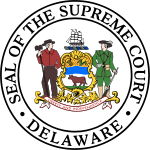 In the case of Benjamin Rauf v. State of Delaware, the court held that Delaware's death sentencing procedures violate the constitutional principles recently set forth by the U.S. Supreme Court's January 2016 decision in Hurst v. Florida. Hurst stated that a capital defendant's Sixth Amendment right to trial by jury requires "a jury, not a judge, to find each fact necessary to impose a sentence of death." Four members of the Delaware high court ruled that the state's capital sentencing statute unconstitutionally empowers judges, rather than jurors, to decide whether the prosecution has proven the existence of aggravating circumstances that are considered in determining whether to impose for the death penalty. They wrote that the jury must unanimously find those facts to have been proven beyond a reasonable doubt before a death sentence may be considered. In an opinion by Chief Justice Leo Strine, Jr., a narrower 3-justice majority of the court also ruled that the facts necessary to impose a death penalty in Delaware included a finding that aggravating circumstances outweigh mitigating circumstances (reasons to spare the defendant's life). Delaware's statute violates the Sixth Amendment, they wrote, because it does not require as a prerequisite to the death penalty that jurors unanimously agree that aggravating circumstances outweigh mitigation beyond a reasonable doubt. The court said the unconstitutional sentencing provisions were inseverable from the rest of the death penalty statute, and that any changes to the statute would have to be made by the legislature. However, recent legislative activity suggests that a bill restoring the state's ability to impose death sentences may have difficulty passing. Calling the death penalty "an instrument of imperfect justice," Governor Jack Markell has indicated that he would sign a bill to abolish capital punishment if it passed the legislature. Such a bill passed the state Senate in 2013 and 2015 and was released by the House Judiciary Committee for consideration by the full House, where it narrowly failed earlier this year. Professor Eric Freedman, a death penalty expert at the Hofstra University School of Law, said "[t]his probably means, as a practical matter, the end of the death penalty in Delaware." Justice James Vaughn Jr. dissented from the ruling. State prosecutors have 15 days to seek reconsideration of the decision and have the option to seek review by the U.S. Supreme Court. They have not yet indicated whether they will appeal. (E. Eckholm, "Delaware Supreme Court Rules State’s Death Penalty Unconstitutional," New York Times, August 2, 2016; C. Geidner, "Delaware Supreme Court Rules That State’s Death Penalty Law Is Unconstitutional," BuzzFeed News, August 2, 2016; J. Masulli Reyes, "Top court: Delaware's death penalty law unconstitutional," The News Journal, August 2, 2016.) Read the decision in Rauf v. Delaware. See Sentencing and Recent Legislation.